The Bod Pod is an air displacement plethysmograph, which uses whole-body densitometry to determine body composition (fat and fat-free mass). Because the BOD POD is highly accurate, it can detect even small changes in body fat and lean body mass (i.e., muscle, bones and organs). It provides excellent repeatability and tracking. Body composition is one of the best indicators of overall health. The feedback you receive from your BOD POD test can also be used to measure the success of exercise/nutritional programs, monitor for obesity and other factors that lead to major diseases such a stroke and diabetes, fine tune athletic performance, track your weight loss or gain safely and effectively and much more. The actual length of time spent in the BOD POD is three minutes. A complete test and a review of the printed results, can be accomplished in about ten minutes. The BOD POD has the ability to accommodate all types of populations (children, elderly, special needs, and athletes). It is safe, non-invasive and above all, comfortable. Just sit back, breathe normal, and let the BOD POD do all the work. Because the Bod Pod is a highly sensitive system, clothing, hair, jewelry, and eyeglasses can have a significant impact on the volume and mass measurements performed during a BOD POD test. Therefore, it’s important to remove all jewelry (if possible) and eyeglasses, and to wear minimal, form-fitting clothing such as a Lycra or Spandex swimsuit during testing. Single-layer compression shorts and/or lightweight jog bras are also acceptable clothing (without padding or wires). HOW ACCURATE IS THE ANALYSIS? 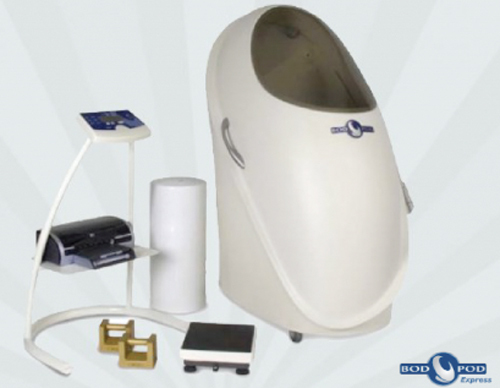 The BOD POD, which uses air displacement technology, is considered to be the gold standard of body composition measurement. It is as accurate as hydrostatic underwater weighing, but it’s more convenient because its quicker and easier to perform. The range of error for this test is ± 1 to 2.7%. BOD POD testing costs $50 for a single assessment or you can buy a pack of two for $90, three for $120, and four for $140. Ignition Certified Coaches get one free BOD POD test per year. For athletic teams and group pricing, please call the Ignition office at 513-247-9501.